I used to be scared of cooking meat. It was such an expense and so delicate. How to cook lamb? I just didn’t bother. But it’s so delicious, and now it’s reserved for special occasions like birthdays, holidays… or the opening of a new grocery store. Last month, Hy-vee opened the doors of their new Overland Park, KS store and it is walking distance from our home. 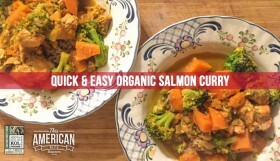 The store is bright, staff are helpful and their selection of organic, bulk and natural products competes well with the likes of Whole Foods and Natural Grocers. Eager to see what was in store for Kosher Kansas City, I was at Hy-Vee on opening day and was delighted to find the Kosher selection reviled the alternatives — and it was all in one place. Instantly I was pleased that I would no longer be running to Costco for ground beef and Trader Joe’s for chicken — and never had I seen such a wide variety of lamb! A number of people have asked me if you can substitute lamb for beef in any recipe, or if the preparation differs. If you plan to grill lamb, I like to season with a touch of salt and pepper and let the natural flavors do the rest, and if smoked lamb sounds more appealing, be sure to keep the smokey flavor subtle. 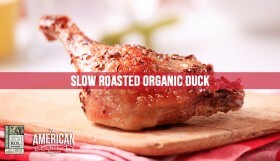 If you prefer to cook indoors, grill it, roast it or cook it in a griddle for wonderful results. No matter what you do, I implore you to buy and use a meat thermometer. 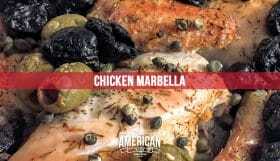 Once I embraced the value of a meat thermometer, I became a significantly better cook and learned to appreciate how to prepare lamb, beef, chicken and salmon. It’s the best $5 you will spend for the kitchen. My lamb wellington is very popular, much of the flavor for this dish comes from the fabulous flavor of KOL Foods organic product. 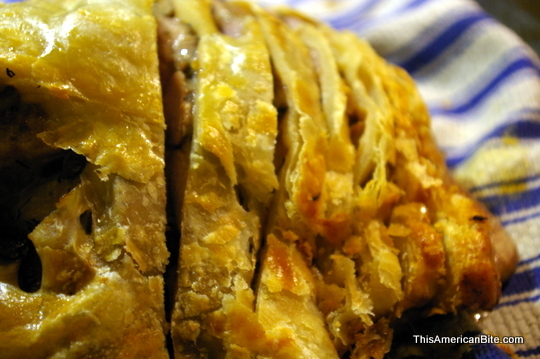 Lamb wellington is a roast with a mushroom gravy, wrapped in filo dough. It certainly keeps to the philosophy of keeping lamb for special occasions. Here’s the full lamb wellington recipe. Coffee has a rich and indulgent flavor, and chops simple scream elegance, especially if you can successfully french them. Add some berries and you have a sweet and savory flavor profile perfect for lamb, and the photography is simply inspiring. 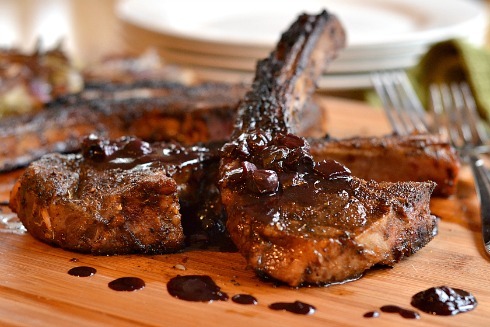 The full Coffee-Rubbed Lamb with Blueberry Balsamic Reduction recipe, with walk-thru photos can be found at Kitchen Tested. 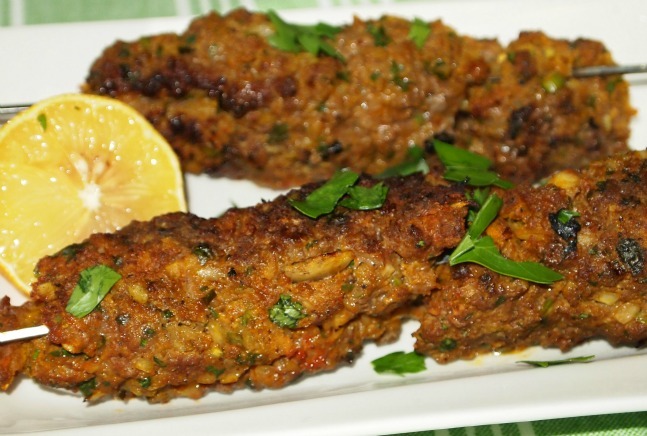 Lamb kebabs are a delicious way to cook with ground lamb. 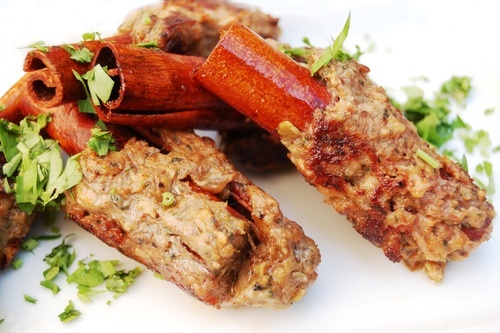 Cooked to perfection, these lamb kebabs will be juicy in the middle and crisp on the outside. I also love that this recipe calls for sumac. 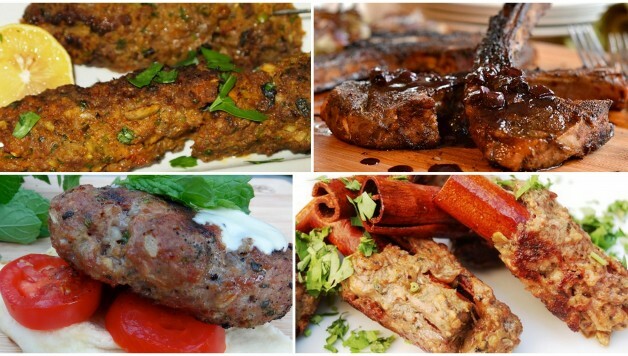 Find the Adana Kebab Recipe by Tamar Genger MA, RD, at Joy of Kosher. 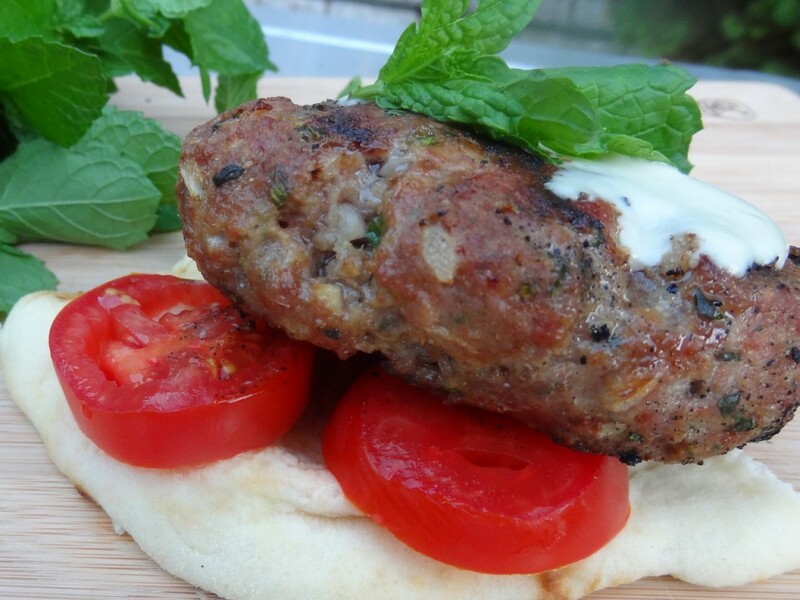 Another great use for ground lamb is this Lamb Burger recipe by Ronnie Fein who blogs at Kitchen Vignettes. I love the idea of a lemon tahini sauce with these, and skipping the bread keeps the carb count low – and allows you to focus on the combination of lamb, mint and parsley flavors. 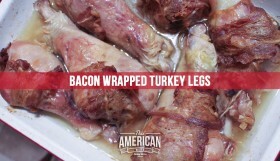 Often, Ronnie and I find ourselves thinking along similar culinary lines so I know that this dish will be excellent. You can find her Lamb Burger recipe here. 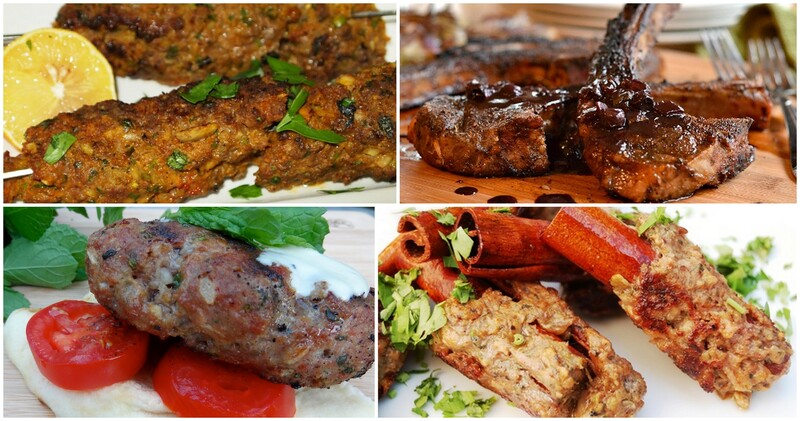 Many more foodies have an awesome approach to cooking with lamb. Lévana Kirschenbaum, author of The Whole Foods Kosher Kitchen (a book that I have previously reviewed) has a wonderful post on Kosher Like Me about tagine cooking, including a wonderful Lamb Tajine with Dried Fruit and Almonds recipe. I love cooking with tagine and lamb tagine is always a dish that fun to cook, fun to present and fun to eat. There’s a delightful and bright Italian Lamb Fricassee from Dinner in Venice that looks delicious. If you like pasta, or you’re not looking for a passover-friendly recipe, check out the Whole-Wheat Spaghetti with Lamb, Tomato and Cumin Sauce. Another delicious looking recipe not for the Gluten-free is this Pulled Lamb Sandwich With Caramelized Onions and Chipotle Garlic Aioli – but you could skip the bread here for a BBQ inspired lamb treat enjoy all the other elements of this dish. Food, Words and Photos brings out the natural sweetness of dates with her Lamb Stew, served over couscous, but for Passover you could serve over mashed potatoes, quinoa, or for some, rice. The Jewish Hostess also has a sweet and spicy treat with her Ground Lamb served on a Cinnamon Stick. Finally, don’t discard any of that lamb fat, or make a batch of lamb stock for a real treat. My lamb-stock polenta is rich in flavor and very easy to eat. It’s delicious straight from the griddle, the perfect with gravy or Maple, Balsamic and Lemon Grilled Brussels Sprouts and makes sure nothing at all goes to waste when you cook lamb. 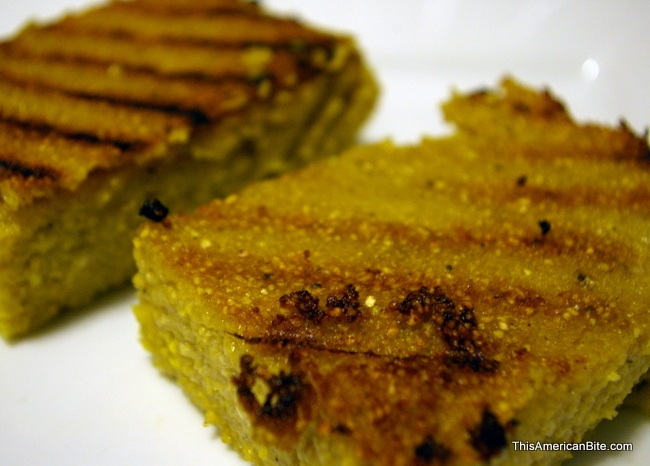 My grilled lamb polenta recipe even got a shout out on Twitter from Iron Chef Michael Symon!